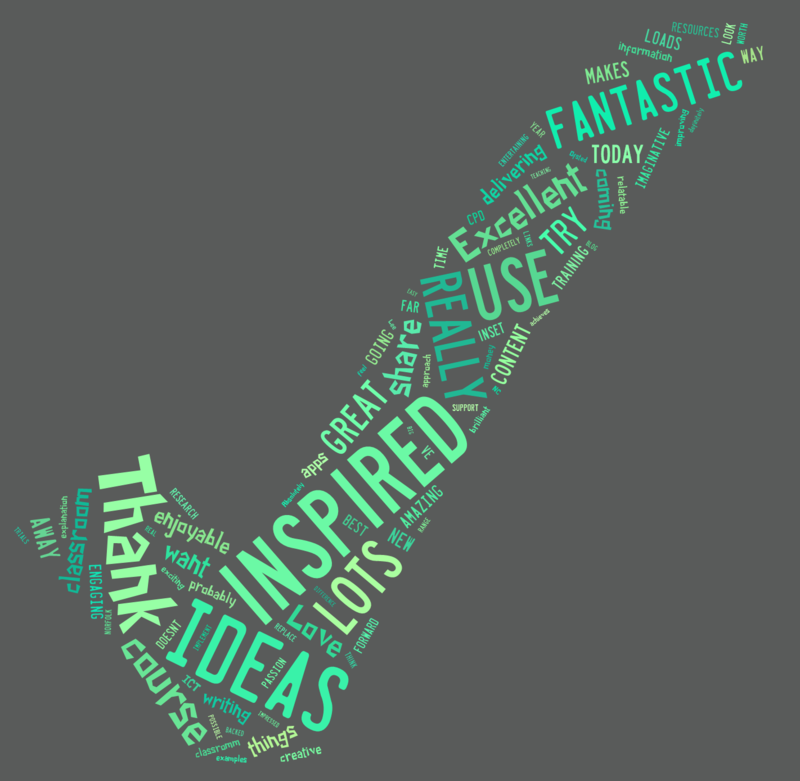 Thank you to everyone who came to my course last week in Norwich - Raising Standards in Writing Using Technology. I had a great time sharing ideas and strategies to engage, inspire and enhance learning in the classroom. I hope you all found it useful and I am so grateful for all the wonderful feedback! Very inspiring, creative and imaginative. Full of ideas, which I look forward to trying. So much information, lots of ideas and resources to take back to school to share and inspire others. Enthusiastic and inspiring. The passion really comes across which has really inspired me to use more technology in the classromm for things other than research. Excellent content and delivered from somebody who practices what they are delivering, which makes it much more relatable. Excellent day and well worth the money. A must for all schools! Fantastic knowledge and explanation of ideas. Has made me want to try lots of new exciting things. 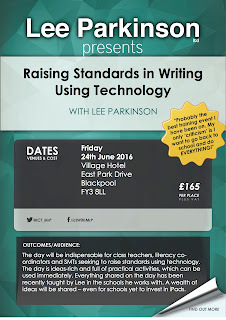 A brilliant course that has made me want to try a new approach to improving my year 5/6 writing! Excellent! This was a fantastic course - completely inspired. Many many thanks! Lots of practical uses for technology to support not replace writing in the classroom with examples of how it has already been successful in a classroom. Lots to go away with and think about! Thanks for coming all this way to Norfolk - today has been invaluable! Very entertaining. Shared lots of relevant ideas, backed up with links to Ofsted and NC. Great to see with only a few apps, what is possible and what it achieves. Thank you really enjoyable day! Love the way Lee trials so many of his ideas and technologies in his school and then shares so enthusiastically. Absolutely fantastic, feel really inspired. Love the blog, going away with loads of ideas! An amazing, engaging day with loads of ideas I want to implement in my school. Genuinely inspired. I will definitely be going away and applying a lot of the content to my teaching. Thanks - thoroughly impressed! 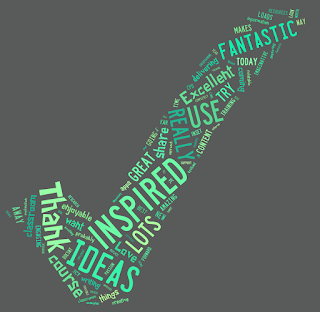 So enthusiastic, amazing practical ideas that would be easy to use but make a big difference to engagement.